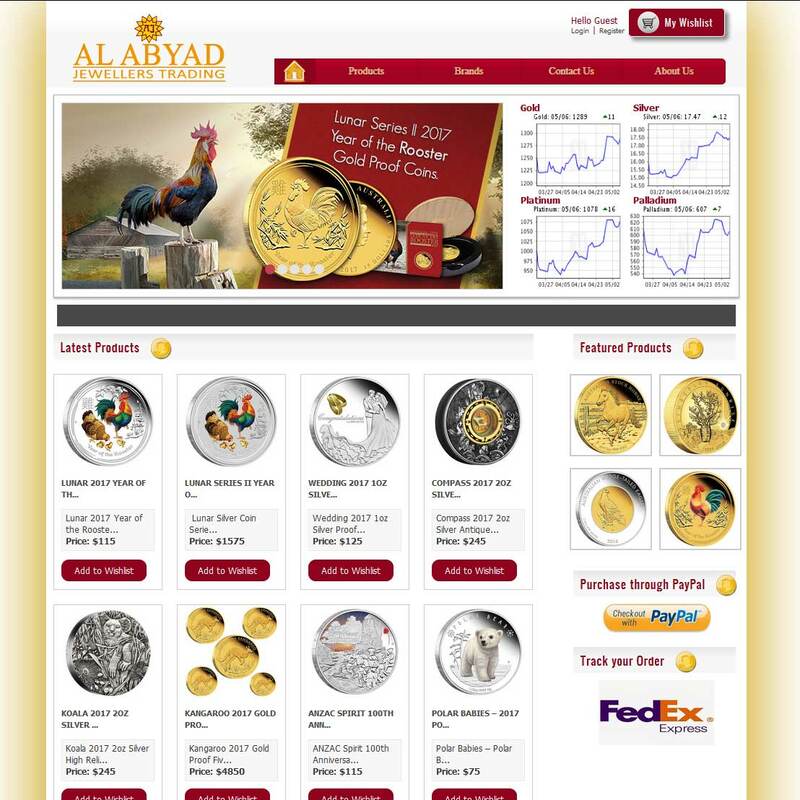 Al Abyad Jewellers is one of the Precious Metals distributor based in UAE selling gold/silver bullion, numismatic coins, and rare stamps. They provide customers with competitive pricing, reliable channel, various selection, unparalleled customer service, for purchasing gold and silver Bullion coins and bars, Collectable Coins and Rare Stamps to diversify their portfolio and protect their wealth. Al Abyad Jewellers Trading are one of the best known jewellers in the Sharjah Gold Souk – thanks to their huge selection of gold bars including PAMP, Valcambi, Commerzbank, Argor-Hereaus and Emirates Gold, silver bars and both local and international bullion coins, all at low premiums. In many instances, Al Abyad are the sole suppliers of these bullion products across Sharjah. Excellent services and wonderful ranges of products! Our Al Abyad Jewellers reviews are powered by Bullion.Directory - The Metals Investment Portal.